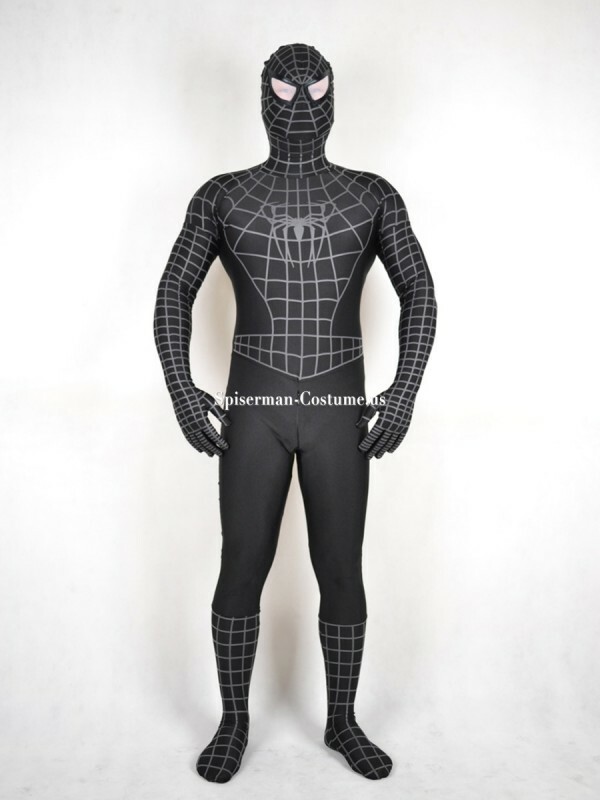 This is the costume when spider-man been bond with Venom Symbiote. 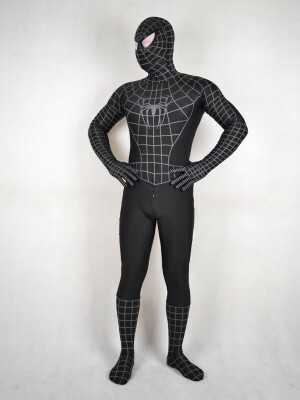 A Spiderman Costume with lycra spandex material adopted,the suit is black and white colored. the spider line of this one is the most newest spider,on the front and back there both have a spider. the zipper is not from head to waist,but from left shoulder to right shoulder. 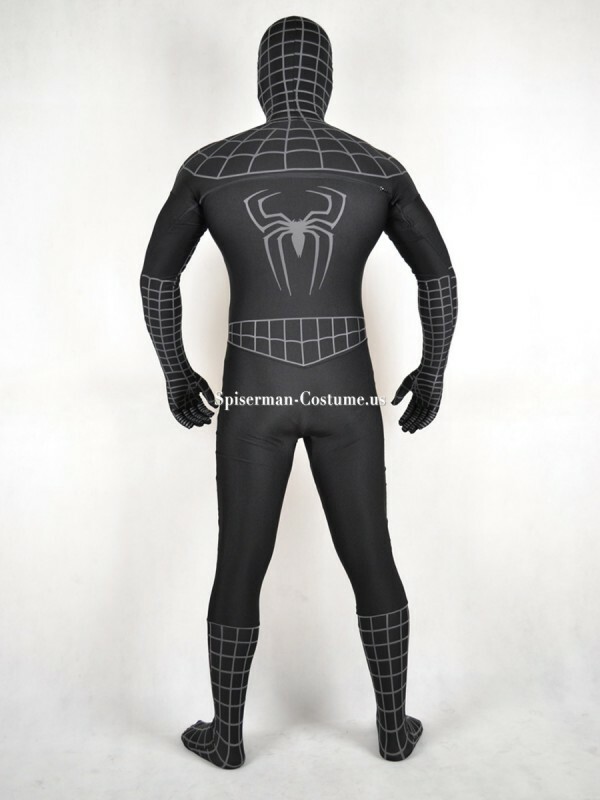 so that the spider on the back will not be separated.